Acorn squash was the first hard squash I loved. My mother would roast it, then spread just a tiny bit of butter, cinnamon, and sugar, turning it into more of a dessert than a side dish. Now I can eat my acorn squash simply roasted. It’s naturally sweet and delicious. 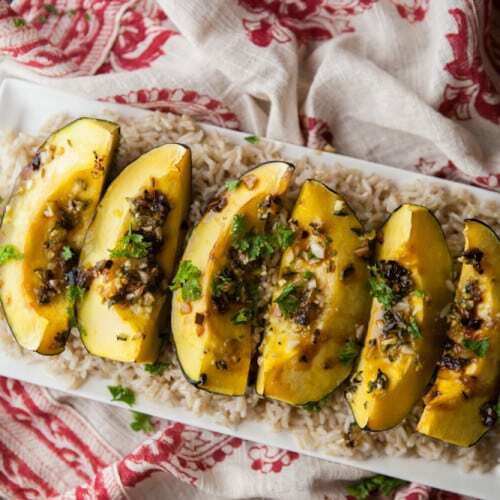 Acorn squash, similar to butternut, can also be used in dishes like risotto. Or stuff them with grains and other vegetables. My favorite is quinoa, feta cheese, and a few herbs! 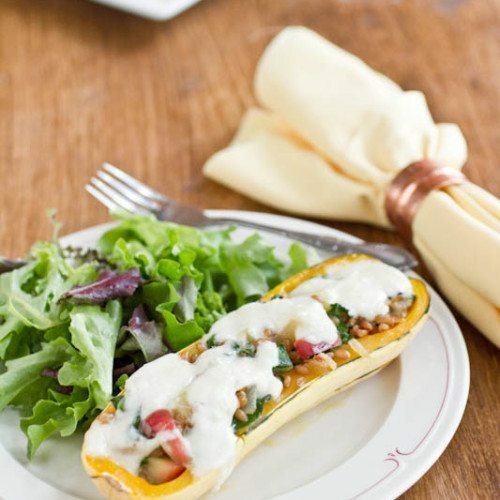 Just make sure you have a sharp, sturdy knife as sometimes the shell of the acorn squash can be a bit tough. Even after roasting, the skin is not typically edible. If you find yourself with extra squash, I recommend freezing cooked squash. 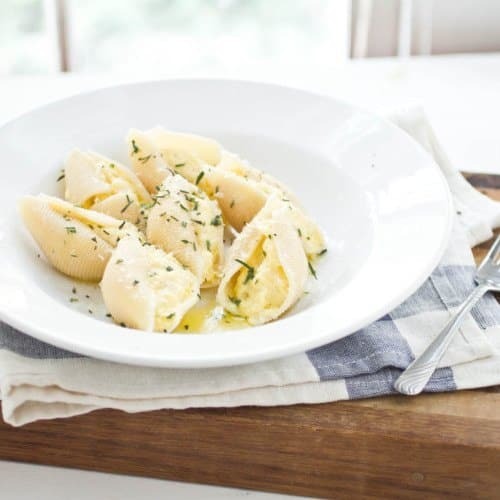 Cook as you normally would, remove skin, cut into large chunks, and store in a freezer safe container. 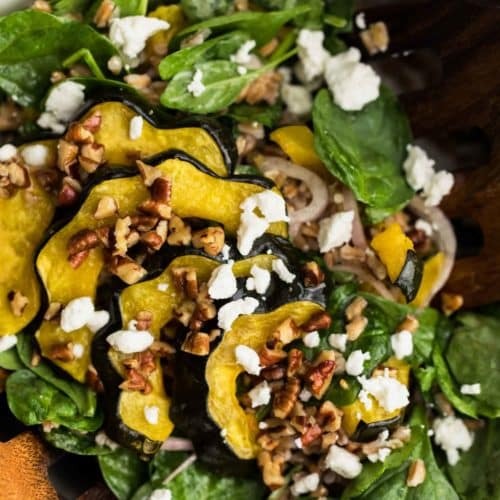 What to look for when buying acorn squash. 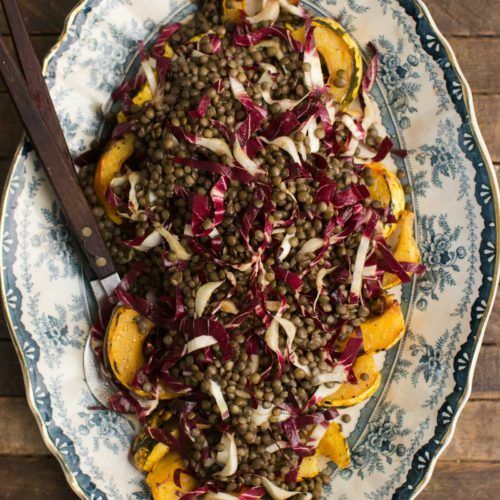 Look for squash with smooth, dull skins. The green variety of acorn squash should be green with some orange. Squash that are past their prime have more of an orange color. However, squash that were picked under-ripe are all green. Go for something in between for the best flavor and texture. There are some newer varieties of Select squash that are firm and heavy for their size. 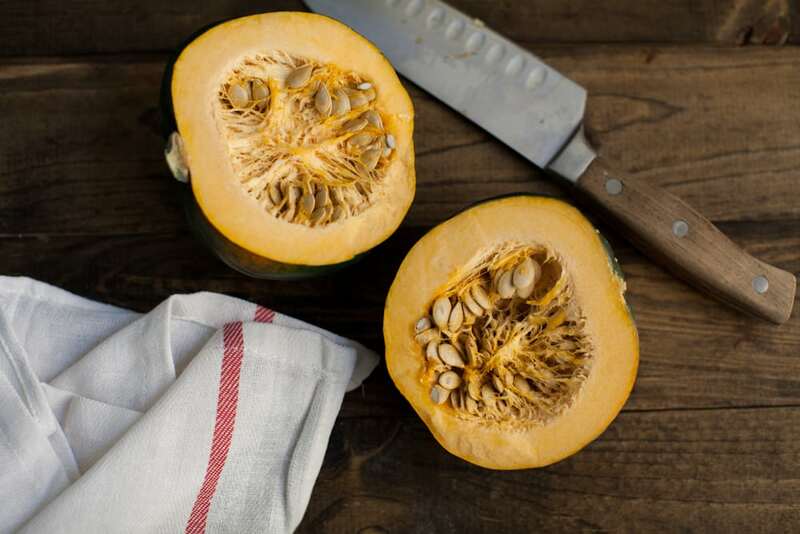 Hard squash can be stored 2 to 3 months in cool, dry places. I keep mine in the basement or in a drawer in my kitchen. Do not refrigerate. When pressed, the squash should be hard. If soft, most likely the squash has gone bad. 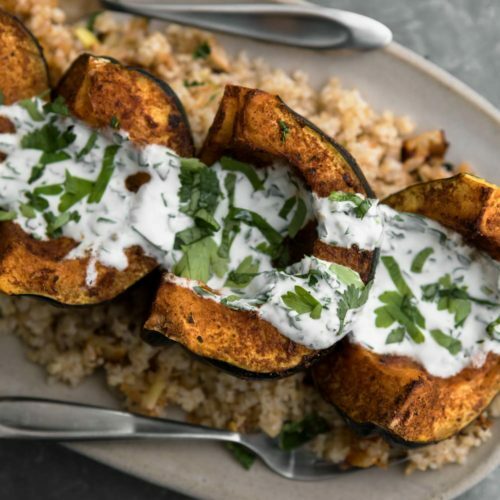 While there are several varieties of acorn squash, they all have the same characteristic shape that comes to a point opposite the stem. Most varieties are similar in taste, texture, and appearance with green skins and an orange yellow flesh. 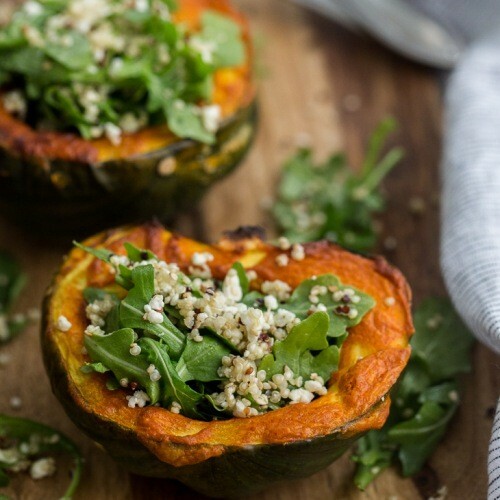 How to cook acorn squash? 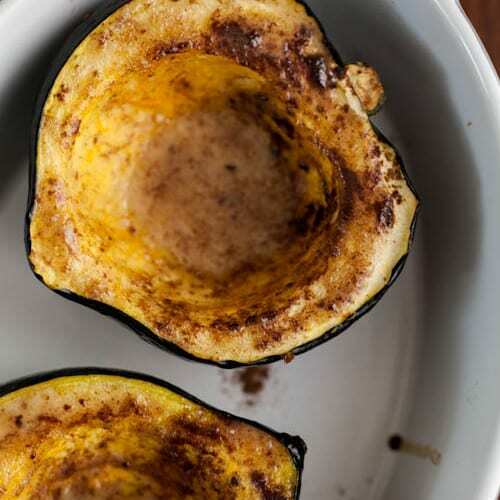 Roasting acorn squash is the easiest way to prepare this vegetable. Because of their shape, you can roast them halved and serve them stuffed! 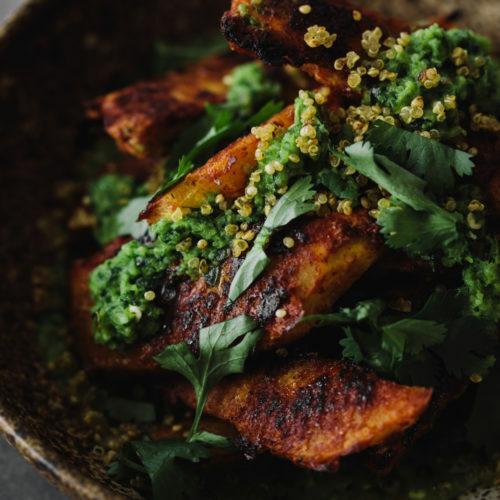 Slicing them into wedges will decrease cook time and they can be cut up to be used in other dishes such as soup or salads.